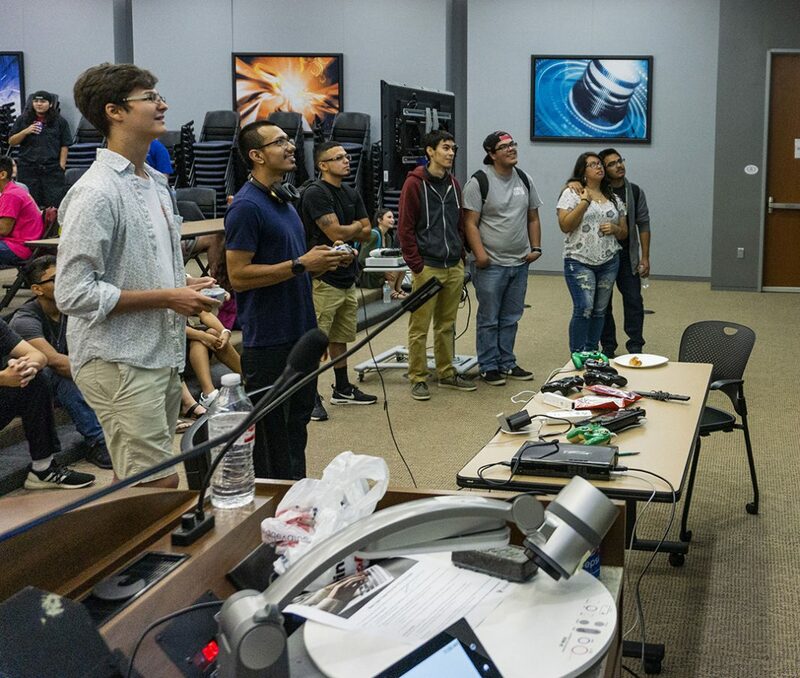 Students and community members of all abilities joined to compete, socialize and learn from one another Sept. 20 at the second Games for Change video game tournament on TR Campus. The event was a collaboration between multiple TR departments, Gamers United, the Texas Academy of Biomedical Sciences (TABS), My Health My Resources Tarrant and Gamestop. It began with a few speakers discussing the benefits of gaming for socialization as well as ways to increase access to technology such as video games to people with disabilities. MHMR Tarrant first reached out to TR English associate professor Johansen Quijano to help with assistance in setting up some video games as an activity for their clients, said Brandy Qualls, MHMR program specialist in supported employment. “We serve people who have intellectual and developmental disabilities (IDD) and with that a lot of times comes physical disabilities,” Qualls said. 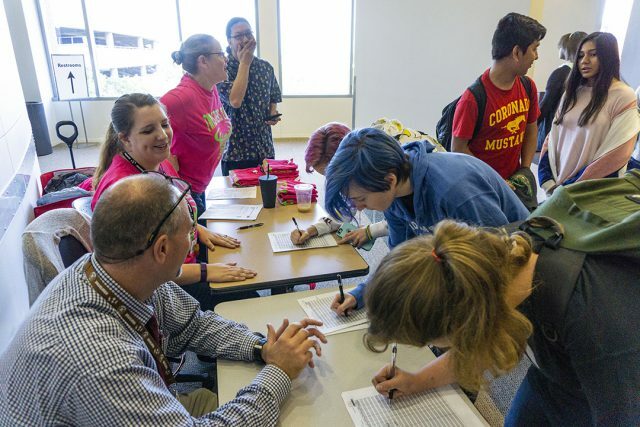 During the event, MHMR clients were paired with senior TABS students studying how to create assistive technologies for people with disabilities and better understand disabilities, TABS chemistry teacher Lucas Tucker said. TABS students could socialize, game and eat with their partners at the event to gain insight and new experiences. TR and Texas Academy of Biomedical Sciences students sign up for different video game tournaments during Games for Change Sept. 20 on TR. Solutions include devices like adaptive video game controllers to help with physical therapy and occupational therapy, TABS physics teacher Jay Kurima said. “The next time it [Games for Change] comes around, we hope to have our devices or [at] some point will have some of those devices ready to show,” he said. TABS student Kaleb Morris spent the day with Jerry Richardson hanging out, playing Mario Kart and Go Fish. Gamers United, the TR gaming club, ran brackets for five games: Mario Kart 8, Street Fighter V, Mortal Kombat X, Dragon Ball FighterZ and Super Smash Bros. 4. Each game’s bracket received over 64 sign-ups, TR student and Gamers United president Riley Pickering said. The 15 winners from top three had four winners from MHMR and 11 winners from TCC. TR student Yovanny Montelongo finished third in Mortal Kombat X, which was his first ever tournament. People should try tournaments out as a way to have fun and meet people, he said. TCC director of institutional diversity and inclusion Andrew Duffield said one goal of the event was to gather individuals with diverse backgrounds and experiences.